The past year has been wild for the marketing presence of PlayStation. The way things have been have been entirely dismantled. Sony didn’t have a PlayStation Experience event in North America this year, and will also be skipping E3 2019. Nearly every announcement since has come through the PlayStation Blog. But on March 25, 2019, the inevitable happened: PlayStation launched a new video communication series that is transparently inspired by what Nintendo has been doing the past several years. That isn’t a drag, by the way: Nintendo Directs have been killing it in terms of community response and social media engagement. The internet goes absolutely bonkers when a Nintendo Direct airs, and the PlayStation and Xbox brands have been playing catch up in that regard. Microsoft has been doing its thing in a very different format, but with State of Play, Sony is definitely working with a derivative take on the Nintendo Direct formula. It has its own PlayStation vibe of course, which works both for and against the series. While we have spent plenty of energy covering what happened during the event, now it’s time to look back and reflect on the event itself. What did it do well? What did the fans think? What could be better? With Nintendo and Microsoft, we’re used to seeing faces. Over the years, various corporate executives at Nintendo have also become, essentially, YouTube personalities through the Nintendo Direct. From Satoru Iwata (rest in peace) to Reggie and beyond, the Nintendo Direct is about having a friendly face help deliver the news in addition to the content. Meanwhile, the Inside Xbox series almost feels like a talkshow, with interviews and more fleshing out the announcements to really embed the community in what’s happening. During the PlayStation State of Play stream, we had a pleasant-sounding voice walking us through the content, but that’s it. There was no face, no personality. It was a nice-sounding voice, but at the same time it was detached and sterile. The voice of PlayStation State of Play was like a GPS app politely asking you to take the next exit. It was fine, it was functional. But it won’t do the series any favors from a memorability standpoint. A host-like presence could do wonders for how the fans respond to these videos. PlayStation State of Play doesn’t need to entirely crib Nintendo Directs with the silly skits and off-kilter humor or anything, but it would be beneficial to have that human connection. More personality could help boost this thing to true E3 replacement territory. 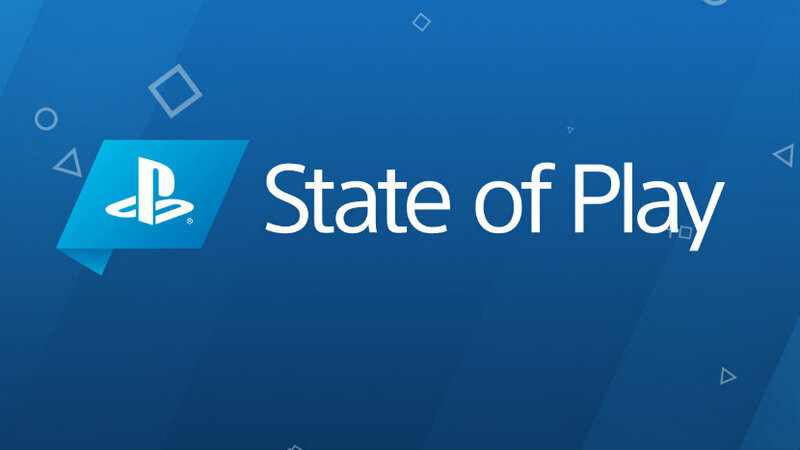 What the PlayStation State of Play did best was how it presented its content. This stream had an aesthetic of its own, one that was distinctly PlayStation with its different shades of blue, but also one that stressed the importance of the games. Even if all we saw was a new trailer for a game that’s almost out anyway (Days Gone), we got a nice, clean screen of the game, its key art, the release date if applicable, and even the developer’s logo. We seldom see such complete and visible information include the developer on the marquee, and it was nice to see what may be the PlayStation brand’s key marketing tool put that foot forward. The pacing was also key here. It was fast, but friendly. Each announcement had its own room to breathe, and the visual transitions weren’t too cluttered or overwhelming, simply showing only what was next. Instead of intense focus on one or two games peppered with quick blasts of smaller games, it felt like everything got equal attention, making things like smaller VR games feel just as important to the presenter as the AAA fare. The majority of the reactions I’ve seen online to the first PlayStation State of Play have been negative. Nobody really knew what to expect, but the responses seem to be littered with disappointment. That isn’t to say that there have been fans who enjoyed the stream as well, but the response has definitely been lopsided. Why is that? Mostly, we can probably attribute that haze of disappointment to a lack of “megatons.” The last few Nintendo Direct streams have included at least one big announcement that has had people screaming, the most recent one having several. In comparison, the first PlayStation State of Play largely featured PSVR announcements. We started with Marvel’s Iron Man VR, which seemed to be positioned as a megaton-like drop, but despite the developer’s cred it seems to be more divisive. In terms of AAA content, we really only saw Days Gone and Mortal Kombat 11, the latter getting the “one more thing” spot with a new story mode trailer. I can see being disappointed if you got your hopes up. The thing about these sorts of events is always managing expectations. It was easy to see this come out of nowhere, and immediately look to the recent highs of Nintendo Direct events. But at the same time, it needs to be stressed that the reason we skipped PlayStation Experience this year was a lack of content, which was part of the official word. While the first State of Play didn’t have big, juicy announcements for blockbusters, what it did do was give ample space to games that may not have received it otherwise. That’s what’s going to be cool about these streams. During the introduction the narrative voice stated there will be more over the coming months, which means we’ll be learning more about games we may not have otherwise, or would have through less exciting PlayStation Blog posts. If the State of Play videos roll out semi-regularly, we could see something that sort of combines the content of Nintendo Direct and Nindie Showcase videos into one branded space, which could really benefit smaller games in the long run. And there will still be plenty of time for bombs to go off as well. My takeaway from the first PlayStation State of Play comes in three major points. First, we’re seeing the PlayStation brand give more play to smaller projects, giving equal time and visibility to larger titles, including a strong showing of support for PSVR. Second, the production is top-notch, and the stage is definitely set for this format to become PlayStation’s primary form of information delivery. Finally, while the second point is a plus for the presentation, the actual narration and personality of the stream was dry and inhuman, which is the biggest improvement I’ll be looking for going forward. Considering the circumstances leading up to this thing, I was surprised by the number of new announcements, impressed with the commitment to smaller titles, and I look forward to seeing the subsequent output. Will these be more regular than Nintendo Directs, or more clearly planned? Will they be sporadic and vary wildly in hype like the competition as well, or will they feel like more of a controlled drip feed, similar in nature to the PlayStation Blog, but with more oomph? I’m excited to find out. Are you?